Unless you live under a rock, you know Louis Vuitton x Supreme collaboration will drop in July. Given the amount of coverage and fakes that's oozing out everywhere, I have to say I'm kinda over the whole collaboration between those two brands. 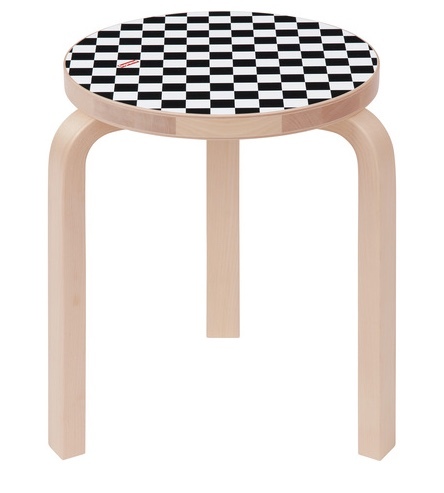 However, I came across this cute little stool decorated by Supreme and made by Artek. This Aalto stool was designed by the world famous Finnish architect Alvar Aalto. It's simple in its form and quite utilitarian in terms of usage. I love that you can stack these stools easily to save space as square footage is a premium when you live in a city like San Francisco or NYC. The stools are available now on Supreme's website for $398 and who knows, they may become more collectible someday than the Louis Vuitton x Supreme shirts and wallets.